The new movie «School of Thought» on Consciousness-Based Education and Transcendental Meditation in schools will premiere on Saturday, October 3, in Fairfield, Iowa, USA. The film stars legendary film director and Academy Award-nominee DAVID LYNCH, and world famous quantum physicist JOHN HAGELIN. Special appearances by DONOVAN, PAUL McCARTNEY and RINGO STARR. Go to: www.perripictures.com for more information. A small midwestern school joins forces with a legendary Hollywood director in an ambitious mission to eliminate violence and life-threatening stress in schools across the planet. Somethings happening deep in the heartland of America. Some folks are starting to call Fairfield, Iowa the Midwestern Stepford. A few locals claim theres a creepy cult slowly taking control of their comfortable small town. Even the County Commissioners are saying, We really dont know whats going on here.But a legendary Hollywood director and the local school hes teamed up with know exactly whats up in Fairfield. Together, these three peacemakers are touring the world with their mind-blowing solution to creating harmonious schools and world peace. Their answer: Have every student in every school practice Transcendental Meditation twice a day and watch them quickly become happier, healthier and more focused, thereby dissolving the life-threatening stress which typically manifests itself in young people through drug abuse and violence, often in fatal ways. Join the Maharishi University coeds as they honor David and celebrate his arrival with their annual David Lynch Weekend. On the same special night, the younger students at the Maharishi School are celebrating their senior prom - where they find themselves in a surreal scene straight out of a David Lynch film, when the Hollywood icon crowns the shocked Prom King and Queen during a surprise visit with Donovan and Grammy-nominee Moby. You will be fully engrossed with this intriguing journey through the boys and girls meditation rooms and the giant Golden Dome of this Consciousness-Based educational institution where thousands of the Fairfield faithful meditate together. Its an unbelievably peaceful K-12 school where the upper grades consistently score in the top 1% of the nation on standardized tests, the athletes win state championships every year and each student is required to meditate twice a day. Cardiff schools could introduce a pilot Transcendental Meditation (TM) programme to relieve stress on pupils. One unnamed secondary school is to give it a trial on a voluntary basis. It followers say TM is a means of clearing and resting the mind through a series of chants and relaxation exercises which anyone can learn. Freda Salway, Cardiff council's executive member for education, said anything to lessen the load was a welcome addition to the curriculum. TM hit the headlines in 1967 in Wales, when the Beatles met the movement's founder Maharishi Mahesh Yogi on a retreat in Bangor. According to south Wales instructor Helen Evans, however, the 60s left a legacy of mixed blessings, with TM becoming more widely known and associated with the era of psychedelia and the Woodstock generation. "Sgt Pepper and the like probably put back serious scientific research into the benefits of TM by about 10 or 20 years," said Ms Evans. "But experiments in US schools have found that it can have a dramatic effect on reducing violence and bullying in the classroom, as well as improving concentration and self-esteem." Ms Evans said: "Most meditation systems will tell you to blank your thoughts out, but I don't think that's realistic. As soon as someone tells you to think of nothing, then something will pop into your mind. "The thing that's different about TM is that it teaches you to cope with the feelings that you do have rather than trying to get rid of them. "It's about relaxing, giving your mind the space to rest and allowing your subconscious to come to terms with problems without the clutter that's normally there." She said modern life could be "highly stressful because there's so much about our lives which we can't control ourselves". She added: "If you can find a way, not of changing your emotions, but of coping with them and accepting them for what they are, then you can be a much more relaxed and contented person with better self-esteem". Ms Salway said: "It's not going to work for everyone, but it's certainly not going to do any harm. "Like anything, you can't ram it down people's throats - it's entirely up to students and their parents to decide if it's something they'd like to try. "But today's children face more stress than any generation before them with exams and peer-pressure and problems in the home. "So if TM can provide an outlet for even a small percentage of them, then it's something worth offering." Several schools in England are already in the process of introducing TM to staff and pupils, with funding from a foundation set up by cult film director David Lynch. A common objection from parents, especially in highly multi-cultural areas, has apparently been a perception that TM is closely associated with Buddhism and Hinduism, and is therefore incompatible with other faiths. But north Wales instructor David Hughes said TM had a strictly non-denominational approach. "Yes, TM has its roots in India, and there are some overlapping features with Buddhism and Hinduism, but fundamentally it's a technique, not a belief system," he said. "It's practiced by millions of Muslims, especially in the Middle East, and it's no more true to say that TM is Buddhist than it is to say that singing is Christian." "It's something which comes naturally to some people - elite athletes like Usain Bolt seem to slip into the zone without ever having been taught. "But most people need a little bit of help to harness the mental powers we all have inside." If the pilot study is a success, it could be offered to students throughout Cardiff. This clip features our beautiful Planet Earth. As you experience this clip you will emit positive forces of energy across Planet Earth that will reach every single living thing on it. You will lift yourself, and as you lift yourself, you lift the entire world. The magnificent music was composed and graciously gifted for this clip by composer Jo Blankenburg. A panel of physicians and scientists will report on the benefits of a simple meditation practice for aiding students diagnosed with ADHD during a national medical webinar, which will be hosted by the David Lynch Foundation on Wednesday, September 30, 12 noon (ET). The webinar, which comes on the final day of National ADHD Public Awareness Month, will report on published research on the effects of the Transcendental Meditation technique for improving academic achievement and executive brain function while reducing learning disorders, anxiety, depression, metabolic syndrome, diabetes, and heart disease. Sarina Grosswald, Ed.D. George Washington University-trained cognitive learning specialist; lead researcher on a pioneering study on the Transcendental Meditation technique and ADHD; and Executive Director of the David Lynch Foundation's Office of ADHD and Other Learning Differences. Norman E. Rosenthal, M.D. Senior Researcher in Psychiatry and Psychobiology for 20 years at the National Institute of Mental Health; currently Clinical Professor of Psychiatry at Georgetown University; and Medical Director of Capital Clinical Research Associates in Bethesda, MD. William Stixrud, Ph.D. Clinical Neuropsychologist and Director of William Stixrud and Associates, specializing in the evaluation and treatment of children, adolescents, and adults with learning, attention, and/or social/emotional difficulties; Assistant Clinical Professor of Psychiatry at the George Washington University Medical Center. One recent study, published in the January 2009 issue of the peer-reviewed Current Issues in Education, followed a group of 10 middle school students with ADHD who were practicing the Transcendental Meditation technique twice a day in school. After three months, researchers found over 50% reduction in stress and anxiety, and improvements in ADHD symptoms. "The effect was much greater than we expected," said Sarina J. Grosswald, Ed.D., a George Washington University-trained cognitive learning specialist and lead researcher on the study. "The children also showed improvements in attention, working memory, organization, and behavior regulation." Grosswald said that after the in-school meditation routine began, "teachers reported they were able to teach more, and students were able to learn more because they were less stressed and anxious." Prior research shows ADHD children have slower brain development and a reduced ability to cope with stress. "Stress interferes with the ability to learn—it shuts down the brain," said William Stixrud, Ph.D., a Silver Spring, Maryland, clinical neuropsychologist and co-author of the study. "Medication for ADHD can reduce the symptoms for some children, but it is marginally or not effective for others. Even for those children who show improved symptoms with the medication, the improvement is often insufficient," Stixrud said. According to the Centers for Disease Control, almost 50% of the 4.5 million children (ages 4-17) in the United States diagnosed with ADHD are on ADHD medication—and the majority of those on medication stay on it in adulthood. Stixrud said there is growing concern about the health risks and side effects associated with the common ADHD medications, including mood swings, insomnia, slowed growth, and heart problems. In 2006 the FDA required manufacturers to place warning labels on ADHD medications, listing the potential serious health risks. These high risks and growing concerns are fueling parents' search for alternatives that may be safer for their kids. "There is already substantial research showing the effectiveness of the TM technique for reducing stress and anxiety and improving cognitive functioning among the general population," Dr. Grosswald said. "What's significant about our findings is that among children who have difficulty with focus and attention, we see the same results. TM doesn't require concentration, controlling the mind or disciplined focus. The fact that these children are able to do TM and do it easily shows us that this technique may be particularly well suited for children with ADHD." At a major summit in Argentina from 2 to 4 September 2009, attended by several thousand members of the Latin American Association of Mayors, leaders of the Global Country of World Peace from North and South America presented the programmes of Maharishi Mahesh Yogi for ideal governmental administration, which were enthusiastically received. Speaking on Maharishi Global Family Chat*, Raja Jose Luis Alvarez, Raja of Invincible Latin America for the Global Country of World Peace; Dr Herman Martinez, National Director of Argentina for the Global Country; and Mr Ed Malloy, Mayor of Fairfield, Iowa, USA, gave an account of the key events and achievements of the mayors' summit. The event was led by Dr Julio Pereira, Mayor of Florencio, Argentina and Co-President of the Latin American Association of Mayors. Dr Pereira is also a long-time practitioner of Maharishi's Transcendental Meditation Sidhi Programme. Over 2,000 Latin American mayors attended the summit, with the overall number of guests reaching 5,000. Representatives of the Global Country of World Peace presenting Maharishi's programmes at the event included not only Dr Pereira, but also Raja Robert Wynne, Mayor of Maharishi Vedic City, Iowa, USA, as well as Mayor Malloy. This goal, he said, can be achieved through practice of Transcendental Meditation and the Transcendental Meditation Sidhi Programme, including Yogic Flying, in large groups—to create enlightenment for each individual and invincibility for the city and the entire nation. Raja Wynne spoke on a similar topic, explaining the benefits of Maharishi's Vedic Science and Technology for city planning and social development. In the coming days, Global Good News will feature reports on the profound impact of these presentations on attendees, as well as further positive developments resulting from the mayors' summit. * Raja Luis's report was featured on the 8 September 2009 Maharishi Global Family Chat, broadcast daily via Internet webcast on the Maharishi Channel, Channel 3. Podcasts of the daily Global Family Chat (audio track) are also now available for automatic download, via an RSS feed. Renowned filmmaker Dr David Lynch visited Iceland several months ago, giving talks about the Transcendental Meditation Programme to one half of one per cent of the country's population. Watch the great interview of David Lynch on Icelandic TV. As a result, five Teachers of Transcendental Meditation have been very active teaching the technique to almost 1,000 people in a new Maharishi Invincibility Centre* in Reykjavik. To meet the large demand, courses in Transcendental Meditation have been held continuously, with many more people waiting to learn. Speaking on 10 September**, Raja Tom Stanley, Raja*** of Invincible Iceland for the Global Country of World Peace, described the current wave of activity in context of an overall plan to create coherence and invincibility in the whole collective consciousness of Iceland. Raja Stanley said that Iceland is a small country with only 330,000 people. The plan is to inspire at least 1% of the population to learn Transcendental Meditation very quickly, and to establish invincibility groups of Yogic Flyers in the country as well. The number of Yogic Flyers required to create national invincibility is 60. However, leaders of the Global Country of World Peace programmes in Iceland are aiming for two or three times that number, to ensure invincibility for the country on a permanent basis—and to address social problems that have been created in Iceland as a result of the current economic crisis. As part of the new teaching activities at the Maharishi Invincibility Centre, posters, charts, and other publications have been produced in the Icelandic language. Included are charts graphically illustrating the Unified Field of all the Laws of Nature, described in modern science as the source of the physical universe, and experienced directly through the Technologies of Maharishi's Vedic Science as an unbounded field of pure intelligence at the basis of human consciousness. According to the principles of Maharishi Sthapatya Veda, Vedic Architecture, the Maharishi Invincibility Centre building has a good Vastu (design and orientation), facing due east. It has a large lecture room and four teaching rooms well-suited for all Transcendental Meditation teaching activities. Global Good News will feature a presentation by the National Director of Iceland for the Global Country of World Peace in the coming days. 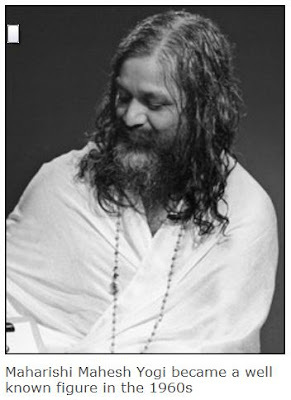 * Maharishi Invincibility Centres in major cities around the world offer the knowledge and programmes of Maharishi Mahesh Yogi, including the Transcendental Meditation Programme, to promote enlightenment for every individual and invincibility for every nation through development of full potential in every area of life. ** Raja Stanley's report was featured on the 10 September Maharishi Global Family Chat, broadcast daily via Internet webcast on the Maharishi Channel, Channel 3 (www.maharishichannel.in). Podcasts of the daily Global Family Chat (audio track) are also available for automatic download, via an RSS feed. *** A Raja is the administrator of the cosmic value of life from deep within, from the absolute, unmanifest field of eternal silence. Maharishi appointed Rajas for 192 countries of the world, to ensure invincibility for every nation and world peace by establishing large groups of experts in the technologies of Maharishi's Vedic Science. 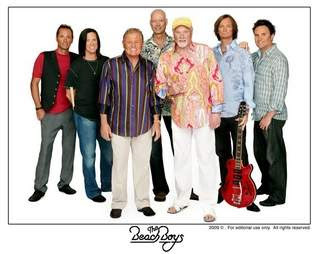 With its tight falsetto harmonies and sunny lyrics, the Beach Boys' sound is immediately recognizable to both young fans - who consider it a retro band - and to older fans who grew up on hits such as "California Girls" and "Surfin' USA." The legendary ensemble that has been entertaining audiences since 1961 will perform Monday in Fairfield - a quick return trip to Iowa after a recent show Aug. 14 at Meskwaki Bingo-Casino-Hotel in Tama. But Monday's outdoor concert on Labor Day at a middle school in Fairfield also will deliver a different "vibration" for singer Mike Love. "My main place for rest and relaxation and recharging has been the Raj and meditating in the domes," Love said last month during a stopover in Fairfield. The Raj is a Fairfield spa that integrates holistic practices into its treatments. And Love routinely practices transcendental meditation (T.M.) inside the domes of Maharishi University of Management, founded by Maharishi Mahesh Yogi. Love, one of the remaining 1960s members of the Beach Boys, will be named Energy Czar for the day by Fairfield Mayor Ed Malloy. He will also help unveil the city's 40-point Green Sustainability Plan, funded by an $80,000 grant from Iowa's Office of Energy Independence. The plan calls for energy conservation and support of local farms, among other initiatives. "Energy independence is something that is close to my children and grandchildren and their children's heart," Love said. Proceeds from Monday's concert also will benefit the David Lynch Foundation, which supports T.M. education, and the Fairfield Arts and Convention Center. Love is a longtime fan of the eastern Iowa city. "I've been going to Fairfield for a few decades," he said. "One time I came here for three weeks and did treatments every day, and that was fantastic. I never felt better." Transcendental meditation is so important to Love that he wrote a song about its founder: "Cool Head, Warm Heart." "Maharishi said once in a meeting, 'You need a cool head and a warm heart,' so I made a little sound out of it," Love said about his inspiration for the song. Love, who performs nearly 150 concerts per year, said he has a special connection to Iowa and its "small-town environment." He recalled a recent memory of the "little gem in the heartland" when he landed at a Tuscon airport. "This woman that drove me from the airport said she heard us at the Dance-land Ballroom in Cedar Rapids ... Now how ironic is that?" 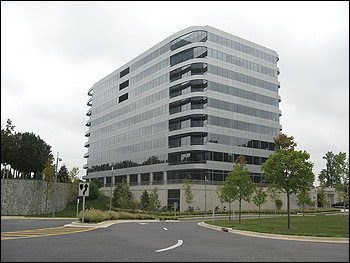 Two Thousand Tower Oaks Boulevard off Interstate 270 in Rockville looks like most modern suburban office complexes. It's a sleek and shiny metal and glass structure that seems to have plopped down like an alien spacecraft on a freshly mowed plot. What's special about this building, its developers say, is the technology inside, which earned it the superlative from the state government of being the "greenest" office building in Maryland. Walking into the building, made of an assortment of recycled items including old bluejeans and wheat products, visitors might think they are entering an office with dirt floors, joked Marnie Abramson of the building's developer, Tower Companies, which is based there. The building's insulation is made of recycled denim. A composite of wheat products makes up the doors. The floor is old carpet that has been shaved down. But, Abramson said, the structure has the amenities of the average office building and then some. The building has a fitness center, a three-level underground parking garage and flat-screen televisions embedded in its elevator walls. Every work space has an outside view. The air-conditioning system circulates fresh, filtered air in the building every 51 minutes. Abramson said the building challenges preconceived notions about environmentally friendly structures, such as that having a green building involves sacrificing certain conveniences or that environmental friendliness is counterintuitive to business success. Tower Companies received $1.6 million in a state tax credit for the building, Abramson said, and dangling carrots like that in front of the business community is a simple and effective way to encourage them to take part. Because of the tax credit, the idea of green practices as the norm "permeates into the marketplace," she said. "In the long term, we can build our way into a sustainable future." The tax credit, which was created in 2001, allows developers to recoup 6 to 8 percent of construction costs if a building qualifies for platinum status in the Leadership in Energy and Environmental Design, or LEED, rating system. Reaching platinum status includes using 100 percent wind energy, limiting water and electricity consumption, reducing air and light pollution and making sure 90 percent of occupants have outside views. Tower Oaks was the first building in Maryland to qualify and was named the greenest office building in Maryland by state Comptroller Peter Franchot (D) last month. Joe Shapiro, a spokesman for the comptroller, said the building is a "shining example for the rest of the state . . . because it has an economic value and an environmental value." Shapiro said LEED platinum buildings save on utility costs and increase productivity. State officials hope the tax credit encourages prospective businesses to reach for platinum status, he said. Abramson said prospective tenants have told her, " 'I don't know if I can afford the premium for a green building.' " Her response: "I don't think you can afford not to." Constructing something like Tower Oaks isn't just environmental citizenship; it's smart business, she said. Going green increased overall construction costs by slightly more than 1 percent, she said. But employee productivity has increased, and fewer employees called in sick this past winter than in any other year, Abramson said, crediting the fresh air and natural light. Debbie Webb, director of property management for Tower Companies, has taken notice of the difference in her own work space. She has been at Tower Companies since it moved in February and worked for other property management companies for 18 years. "You start off in the basement or in some place where no one wants to rent," she said of the standard property management work area. And, she said, with the lights flipped off and the midday sun flowing in, "it's just such a healthy environment." Abramson said the company is looking toward the next step: finding a way to generate its electricity on site. "We're superheroes," she said. "It's our job to save the planet through real estate." September 1, 2009 — For many years, the military of Sudan has tried and failed to eliminate violent extremism. Conventional approaches to national defense can no longer guarantee peace and security, and a new approach is crucial. Underlying violent extremism is a human problem requiring human solutions, namely, accumulation of intense social stress that fuels terrorism and conflict. Therefore, to protect the civilian population effectively, this collective stress in Sudan must be reduced. A proven new defense technology exists that can accomplish this goal. Ultimately, it is based on the discovery of the unified field of all the laws of nature - the most fundamental and powerful level of nature’s dynamics. Over 50 research studies confirm its effectiveness. This approach, called Invincible Defense Technology (IDT), is easily applied, cost-effective, and prevents disruption and attack from within or outside a country. The Invincible Defense Technology involves the creation of large groups of peace-creating experts collectively practicing the non-religious Transcendental Meditation (TM) and TM-Sidhi programs twice a day. Studies show that when the required threshold of IDT experts is crossed, crime rates go down, quality of life indices go up, and terrorism and war abate. The causal mechanism has been postulated to be a field effect of consciousness: enlivenment of the unified field by the peace-creating group produces an effect of collective coherence that extends into the larger population. Scientists refer to this phenomenon as the Maharishi Effect in honor of the late Maharishi Mahesh Yogi, who first predicted it. In July-August 1993, a two-month IDT intervention was implemented in Washington, DC. Predictions of specific drops in crime and other indices were lodged in advance with government leaders and newspapers. An independent Project Review Board approved the research protocol. The findings showed that crime fell 24 percent below expected levels when the IDT group size reached its maximum. The study was published in Social Indicators Research (1999, vol. 47, pp. 153-201). A study in the Journal of Conflict Resolution (1988, vol. 32, #4, pp. 776-812) of a two-month-long coherence-creating assembly in Israel showed that war deaths in neighboring Lebanon decreased by 76%. A composite quality-of-life index showed decreased crime, traffic accidents and fires in Jerusalem, and decreased crime accompanied by improvements in the stock market and national mood throughout Israel. Other possible causes (weather, weekends, holidays, etc.) were statistically controlled for and could not account for the results. A follow-up study in the Journal of Social Behavior and Personality (2005, vol. 17, #1, pp. 285-338) showed that during seven different coherence-creating assemblies, war deaths in Lebanon decreased by an average of 71%. The Maharishi Effect has also been documented worldwide in a study published in the Journal of Offender Rehabilitation (2003, vol. 36, #1-4, 283-302) using data provided by the Rand Corporation. When large assemblies of IDT experts exceeded the Maharishi Effect threshold for the world, terrorism decreased globally 72%, international conflict decreased 33%, and violence within nations was reduced without intrusion by other governments. Extensive research shows that the IDT group size needed to reduce social stress must exceed the square root of 1% of the population size. For Sudan, this threshold is about 628 peace-creating experts. A "Prevention Wing of the Military," consisting of approximately 2% to 3% of the military trained as IDT experts, could easily achieve this goal. In the 1990s, the military in Mozambique used IDT to end its civil war. Today, The Netherlands, Bolivia, Colombia, Peru, Trinidad and Tobago have IDT groups. The United States is close to achieving the requisite number of IDT experts at Maharishi’s university in Iowa. And a group large enough to have a global effect is forming in India. But these are all civilian groups which require financial support. Since the military is funded by the government and its personnel are paid to perform their duty to protect the country’s citizens, it is not subject to fluctuations of donors, jobs, student graduations, and optional activities. A Prevention Wing of the Military would be a permanent peace-creating IDT group for Sudan. The military is responsible for protecting the civilian population, and is obligated to thoroughly examine realistic, scientifically validated methods for ending war and terrorism. IDT is such a method. Therefore, we feel it is the military’s duty to create a Prevention Wing of the Military and truly protect Sudan. Maj. Gen. (Ret.) Kulwant Singh, U.Y.S.M., Ph.D. fought in combat and led India’s fight against India’s intransigent terrorism problem for nearly 30 years. He was awarded the Uttam Yudh Sewa Medal, the second highest decoration for senior officers during operations in Sri Lanka as part of IPKF (Indian Peace Keeping Force). Today he is leading an international group of generals and defense experts that advocates Invincible Defense Technology. A list of Dr. Singh’s publications on the topic of Invincible Defense Technology is available by clicking here. David Leffler, Ph.D., a veteran of the United States Air Force veteran, is the Executive Director of the Center for Advanced Military Science (CAMS). Dr. Leffler has published articles about IDT in Aljazeera Magazine, PakTribune, Alarabiya, Pakistan Daily, Arab News, Pakistan Link, Middle East Online, Hi Pakistan, Beirut-Online, The Pakistani Spectator, News From Bangladesh, Muslims, Muslim World Today, Sinhala, Senegambia News1, Senegambia News2, New Age Islam, Haalkhabar, Chowk, and Islam And Muslims. He serves on the Board of Editors for the Journal of Management & Social Sciences (JMSS) Institute of Business & Technology BIZTEK in Pakistan.